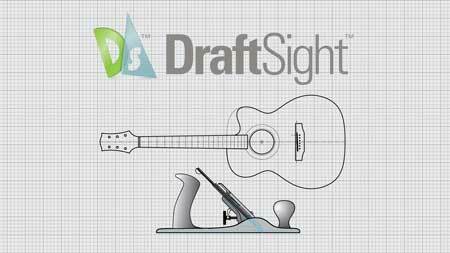 Complete course for makers, including woodworkers and furniture makers, who want to learn CAD using the great FREE version of DraftSight. 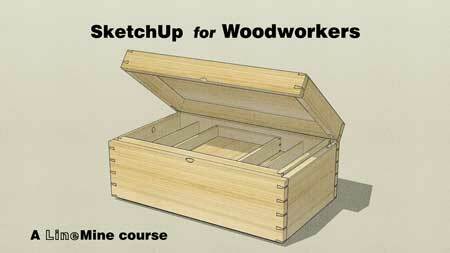 This is a bundle of two courses, DraftSight Essentials, and CAD for Woodworkers. When you take this combination you will be able to open, edit and customise CAD files that are available to download and buy from the Drawing Library here. Computer Aided Design, or CAD, is so much easier to learn than most people realise, and really takes the hard work out of any kind of technical drawing. 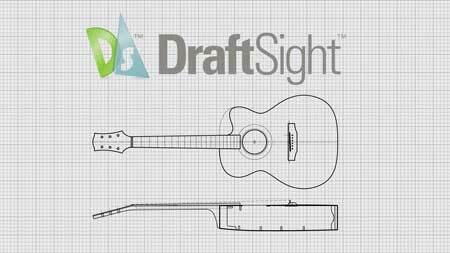 Download the FREE version of DraftSight, a professional quality CAD program, and learn how to use it here. More and more, computer drawing of all kinds is moving into everyday life. Now you can learn to produce accurate scale drawings in a fraction of the time it takes to draw something on paper. DraftSight really is the best possible choice for the occasional user, as it brings really top quality CAD skills within your reach without the cost. What is more, being able to produce your own scale drawings could save you a great deal of money, in fees. The course is called CAD for Woodworkers because it teaches you how to use the software for a specific purpose, instead of teaching you everything about a particular program which many CAD training courses do. 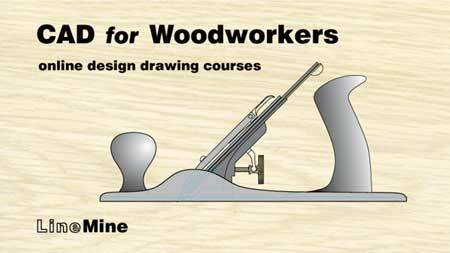 If you've always used a pencil and paper to sketch out your woodworking drawings, maybe its worth also pointing out a few of the things that CAD drawing can do for you. ;ACCURACY: As long as you follow some simple drawing rules, CAD drawings are ALWAYS 100% accurate, and you can use them to get measurements from. They are also great for templates. SPEED: With a modest initial investment in time and effort, you will be repaid massively in terms of the speed you can produce drawings.